When it comes to Scottish icons, we hear a lot about bards and Bonds, hip musicians and blockbusting painters – but some trailblazers still slip under the radar, even when their work has transformed an industry or an art form. 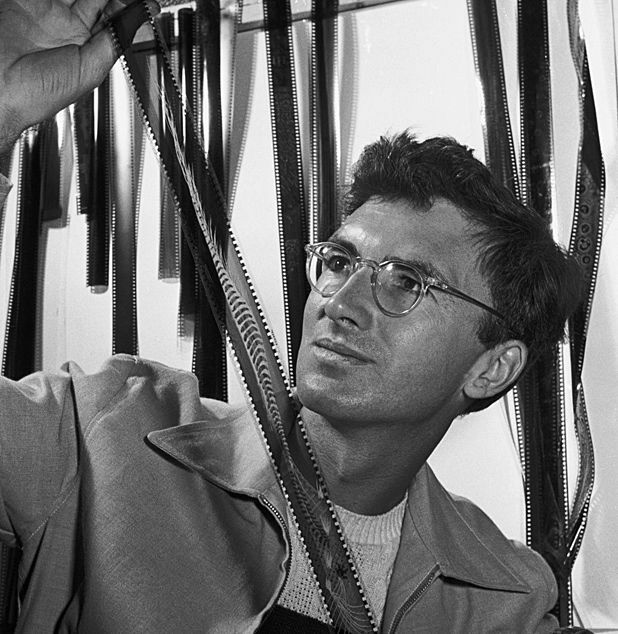 The Stirling-born filmmaker Norman McLaren arguably did both, achieving innovations in the field of animation that helped to push the medium forward both artistically and commercially. McLaren 2014, a major collaboration between Edinburgh’s Centre for the Moving Image, the National Film Board of Canada and the Glasgow 2014 Cultural Programme marking the centenary of his birth, seeks to draw new audiences to his work, as well as showcasing work inspired by his art, and extending his legacy of training and education. Events will follow the trajectory of McLaren’s own career. His birthplace, Stirling, will see a plaque dedication as well as a photography exhibition, a film tour of the city and the dance production A Chairy Tale, based on his short film of the same name. Glasgow, where McLaren trained at the School of Art, will pay particular tribute to McLaren’s interest in musical experimentation, with a screening of his short films scored by the Glasgow Improvisers’ Orchestra, and the live animation and sound event Digital Scratch: Riding Over Blinkity Blank. Edinburgh will see the comprehensive exhibition Hand-Made Cinema at the Talbot Rice Gallery, as well as a yet-to-be-announced exclusive presentation at the Edinburgh International Film Festival, where McLaren’s films were regular features of the programme during his lifetime, and where the annual animation award bears his name. The time McLaren spent in Orkney will also be marked by an exhibition at the Pier Arts Centre in Stromness; and animation workshops led by, among others, McLaren’s niece Tricia Anderson, will take place all over the UK. The National Film Board of Canada, where McLaren trained animators as well as creating some of his most important work, will dovetail the Scottish events with its own celebrations. McLaren won an Oscar, a Palme D'Or, a BAFTA and two Silver Bears in the course of his career. But he also displayed a lifelong commitment to the use of animation in educational and community-building contexts, and took his message all over the world, working with UNESCO in the 1950s and 60s to bring workshops to China and India. Through his work with the National Film Board of Canada, McLaren was also a mentor and inspiration to countless animators – among them George Dunning, who directed Yellow Submarine (and whose company TV Cartoons would eventually produce Iain Gardner’s own breakthrough short, Akbar’s Cheetah, for Channel 4). A programme of events marking the centenary of world-renowned Scottish filmmaker, artist, musician, and award-winning animator, Norman McLaren. Events include screenings, exhibitions and workshops.